We’re pleased to announce an update to our Praise Wall. If you’re unfamiliar with this feature, our Praise Wall allows you to display Small Improvements praises prominently on a dedicated screen, for instance in the hallway, kitchen, or a communal space. Praise encourages a positive feedback culture, and increasing visibility boosts its impact. The Praise Wall in combination with our Slack integration makes the perfect pair in helping you spread good cheer within your organization. 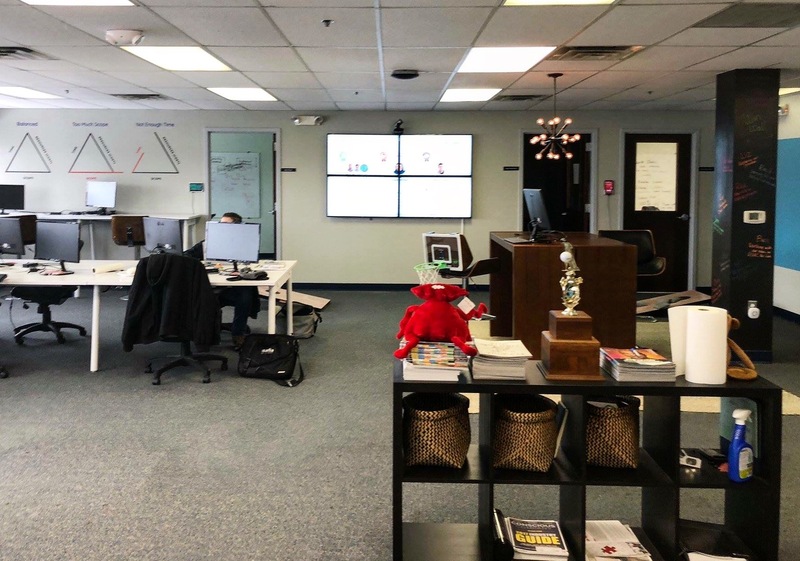 Initially launched as a “bare bones 1.0” version during our Praise overhaul, the Praise Wall has gained popularity over time. Many customers have placed the Praise Wall around their office and shared their positive experience with us. 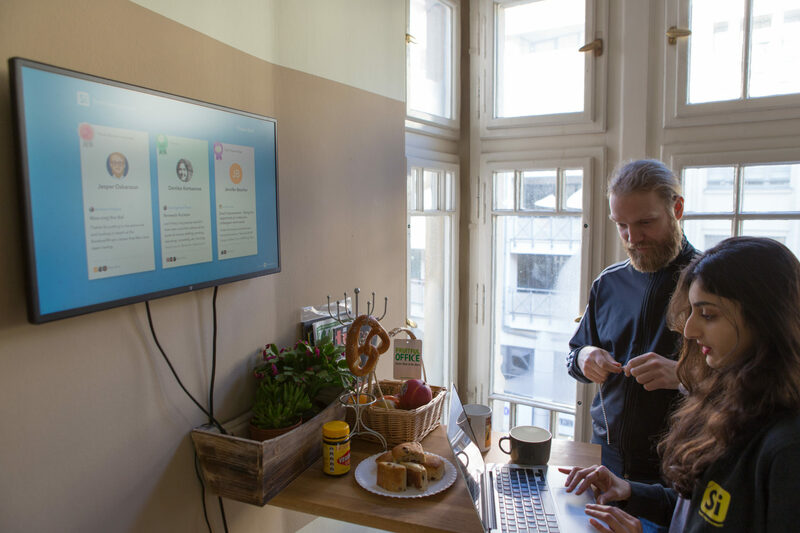 In Dashlane’s New York office, the Praise Wall can be found outside of the conference rooms. At Afia Inc, a “Win Wall” is mounted in the hallway to share how the staff is helping drive change in healthcare every day. 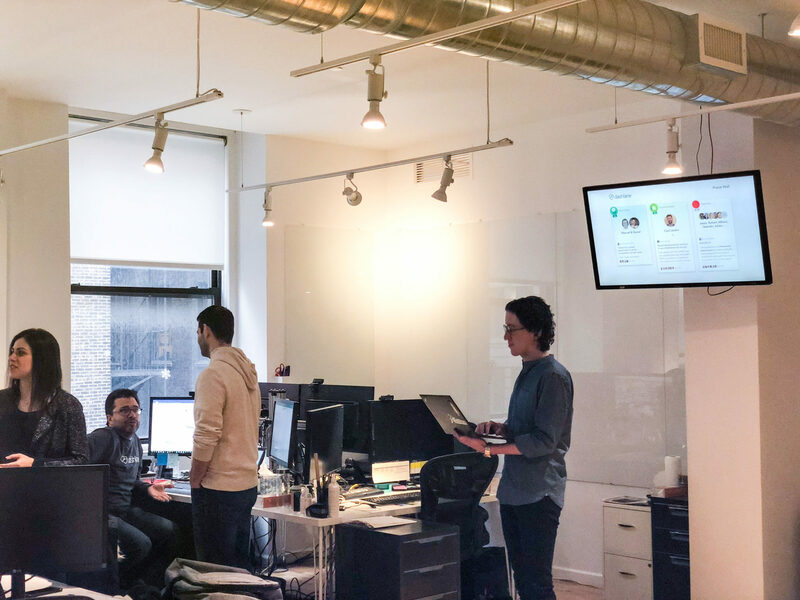 “We use the Praise Wall feature to highlight individual and collective performance to make celebrating wins of all types a part of our culture,” said Jeremy Nelson, Co-Founder and Managing Partner. As seen above, not everyone uses Praise the same way. That’s why we’ve made the Praise wall much more configurable than before, so you can customize the feature to feel like your own. Whether you call it Praise, Recognition, or something entirely different – now you can change the title of the wall to match. On the top left-hand corner, you can also upload your company logo, a custom Praise wall logo, or remove it altogether. A white background can look a bit minimalistic over time, so we’ve enabled color background. You can select from one of our predefined colors or input the hex code of your company color to match the Praise wall with your brand. Put your own spin on it to reflect your company! Our Praise wall can be displayed on all kinds of screens, from iPads to large TVs. We realized that for smaller screens, our default of showing three praises at once may hinder readability. You can now configure the Praise wall to display just one praise, that’s accordingly much larger, or two praises at once. You can also control the number of Praises you display. We default to rotating the past 20 praises, but if you’d rather show the 10 most recent praises or provide more variety by showing 30, you can easily update the settings to your preference. Praises are set to display for 20 seconds before automatically rotating to the next. Depending on how many Praises you show at once, you can alter the rotation speed to be faster or slower.